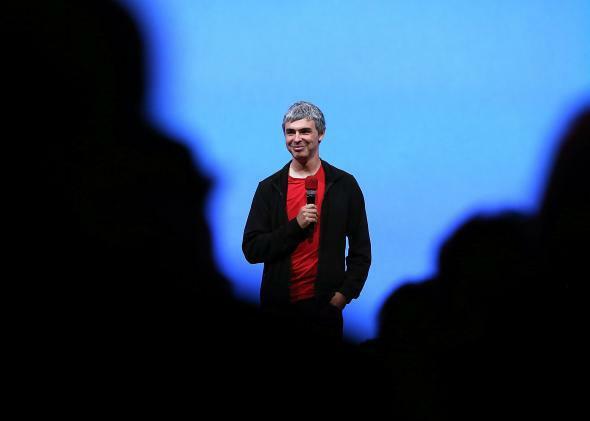 Google CEO Larry Page: Elon Musk would get my inheritance over charity. Google CEO Larry Page has an unusual idea about what should happen to his billions should he die. Instead of giving it to a philanthropic organization, he’d rather hand over his cash to Elon Musk, the founder of Tesla, SpaceX, and Solar City. In a conversation with Charlie Rose at a TED conference on Wednesday, Page said he wanted his money going to capitalists like Musk—those with big ideas for changing the world—according to a report at Wired. According to some people on Twitter, Page even went as far as to suggest that everyone give their money to a corporation that was trying to accomplish big stuff. We’re not sure if he’s being literal or figurative here. There are surprisingly few write-ups of these comments on the Web. It seems as if he’s making a larger point, which is that the right company run by the right person can have a major effect.